A team of GlobeCore specialists visited Accra (Ghana) in August for commissioning and personnel training. Operating such equipment optimizes motorway repairs and construction, since some of the operations can be performed at the same time (e.g. accepting bitumen and bitumen emulsion output). The UVB-10PK can be installed on a prepared site in two weeks, including startup and commissioning. 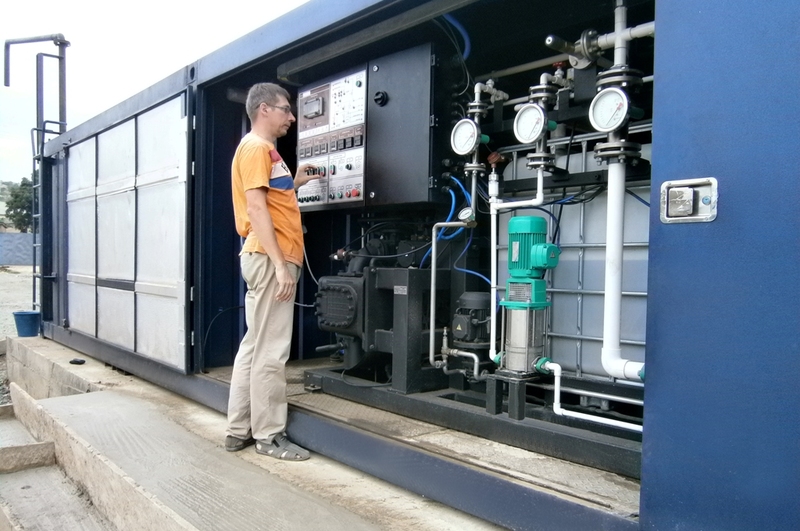 The unit can be controlled by a single operator, but for safety purposes, due to hot bitumen and heat carrier use, two operators are preferred. All operating modes are automated. The operator’s function is to select the mode of operation and start/stop the equipment.